Product prices and availability are accurate as of 2019-04-12 03:37:24 UTC and are subject to change. Any price and availability information displayed on http://www.amazon.com/ at the time of purchase will apply to the purchase of this product. 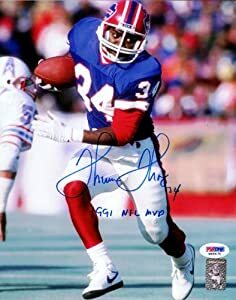 This is an 8x10 Photo that has been hand signed by Thurman Thomas. Along with the autograph, this item also comes with the inscription which reads "1991 NFL MVP". 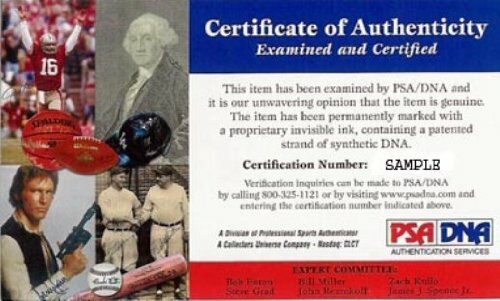 This item has been certified authentic by PSA/DNA and comes with their tamper-proof sticker and matching certificate of authenticity.